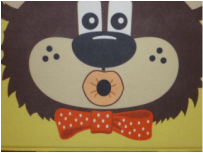 The digital download gives you images that are Teddy-ready...just cut them out for learning fun! 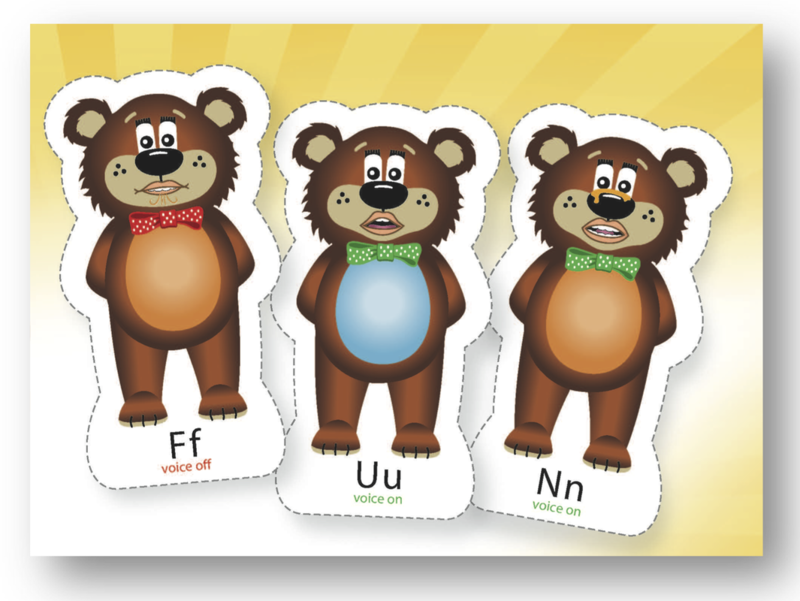 All Teddy Talker® materials have the unique cueing system for features of sounds so children can learn while they play. 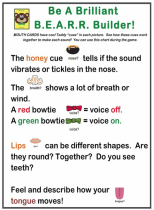 This Mouth Position Card shows a closeup of the features of sounds. Voice on with his green bowtie. Lips together, too! Focus attention on the features of individual sounds. You're a SYLLABLE-maker !!! 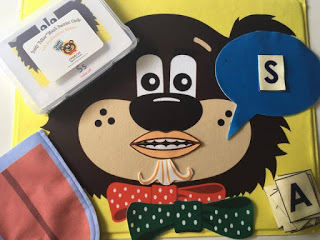 Teddy's friends love to work and play with each other to add sounds together and take them apart, creating new syllables. Oh, and you can make puppets (my favorite! 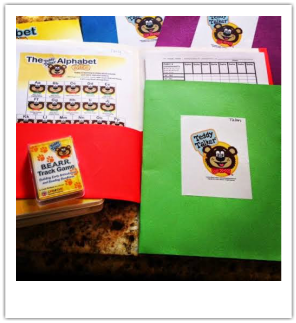 ), magnets, and headbands and matching games that make learning super-interactive! Stay tuned for the next Teddy Tips. 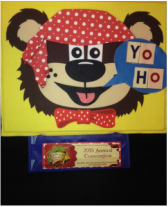 We'll see more speech, language and literacy fun-filled ideas that Teddy's Phoneme Friends™ can bring your students! 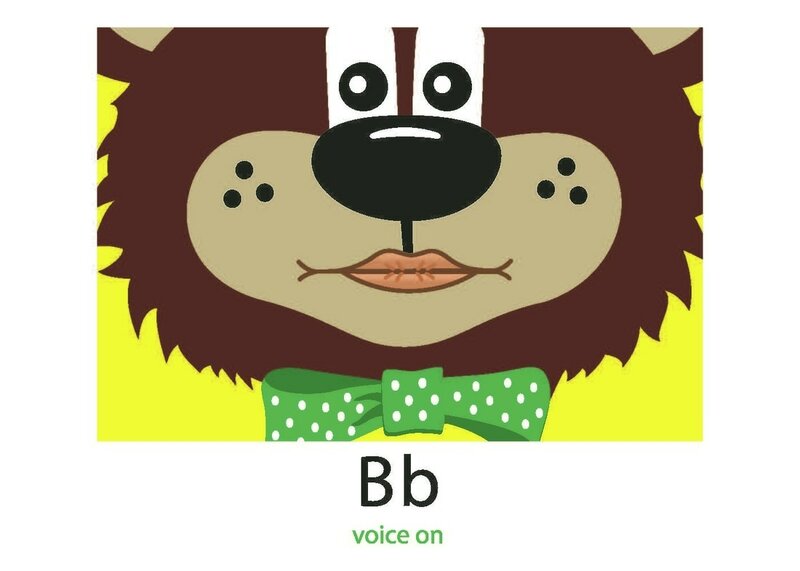 Here's one of Teddy's favorite syllables! 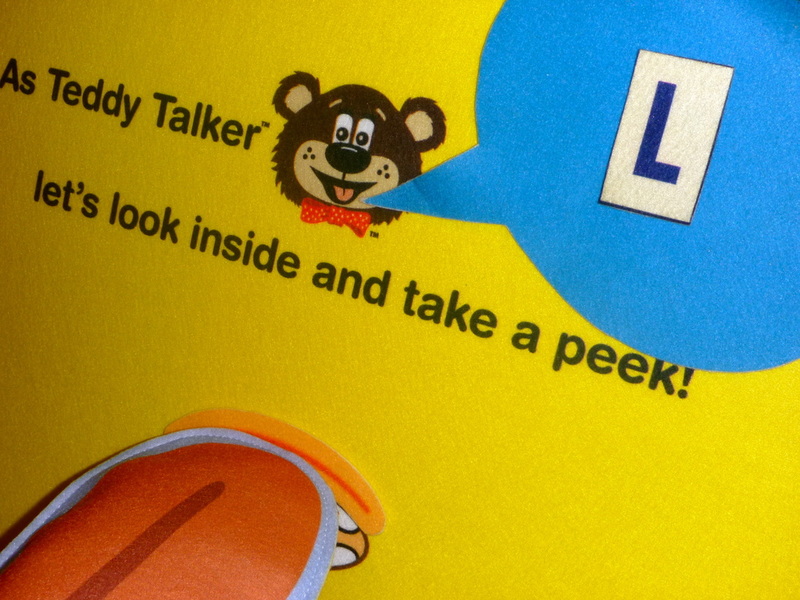 So happy to hear how much Rock Talk Speech Talk loved Teddy Talker! Kari is a speech-language pathologist working with preschool students and you can check out Rock Chalk Speech Talk for her recent review! 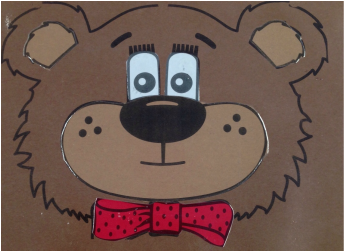 She has wonderful ideas, and gives suggestions for extending this Teddy tool into her work. Kari shared her FANTASTIC strategy below to remember which articulator goes with each sound. She wanted to know exactly which pieces were paired with each phoneme, without having the book (i.e. there is a manual included in Teddy's Foundation Kit) on hand. 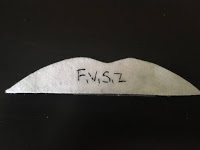 ​She put scotch tape on the backs of the pieces, went through the chart, and wrote down all the phonemes that corresponded to each piece-- problem solved! 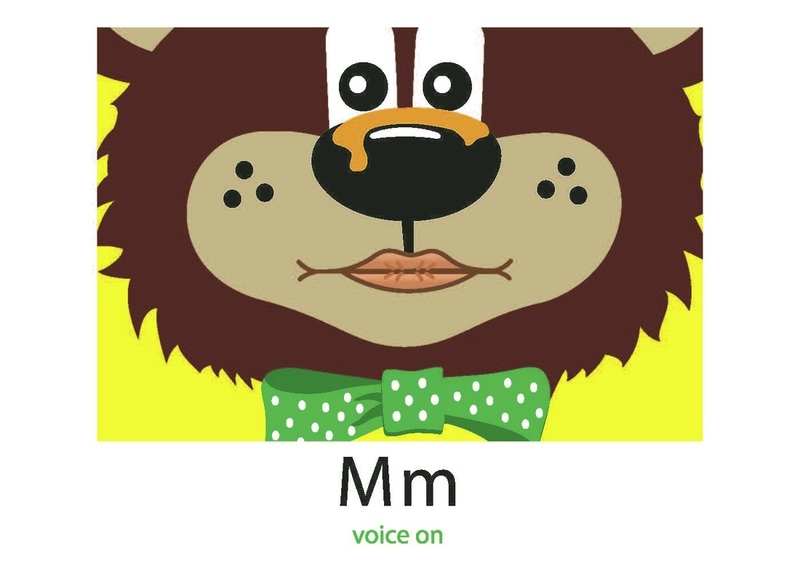 What a great way to match Teddy's articulators to sounds. A great strategy from our SLP colleague at Rock Chalk Speech Talk!